Is Another Energy Bill Increase on the Horizon? As with death and taxes, ever-increasing energy bills would seem to be one of the few certainties of life. Following a statement by Centrica, the parent company of British Gas, fears are mounting that the next round of rising energy bills is just around the corner. Centrica stated that the wholesale cost of gas and electricity has increased by 25 per cent, prompting the firm to consider whether it will raise tariffs for customers – a move that the company has made many times before at this time of the year. The owner of British Gas added that its turnover for the current year is expected to fall as a result of a warmer April and increased uptake of energy-saving products, such as smart meters and energy efficient central heating. Without explicitly stating that British Gas will increase domestic tariffs, Centrica appears to have laid the foundations for yet another fuel bill rise. Although increasing tariffs in line with wholesale fuel costs is not in itself unusual, Ofgem recently noted that Britain’s leading energy providers were not passing on savings to customers when wholesale costs happened to fall. The Director of Consumer Policy at uSwitch.com, Ann Robinson, has pleaded with energy firms to delay a decision to increase tariffs. Ms Robinson said: “Clearly they are preparing the ground for a second round of price increases and consumers should definitely see this as a warning shot across the bows. That said, I would urge suppliers to hold fire for as long as they can. “The price of oil has now fallen and the pressure suppliers are feeling could yet ease – given this I would urge them to keep a steady finger on the trigger and to protect consumers for as long as possible. It would be a shame for households to feel the pain of another round of price hikes if it later turns out to have been unnecessary”. 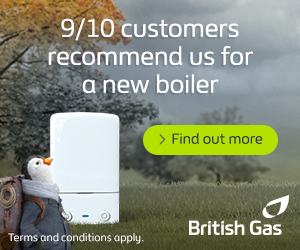 Last year, British Gas increased energy prices by 7 per cent. Following an unseasonably cold winter, the firm reported record profits of £742 million. With millions of Britons facing fuel poverty, yet another price rise would seem grotesque in the circumstances.